Couldn’t help but stop and chat with these dads at Wal­nut Street Park. Just their casu­al guy way of hang­ing out chat­ting with each oth­er, and all the while giv­ing a lit­tle push to the kids was just clas­sic. 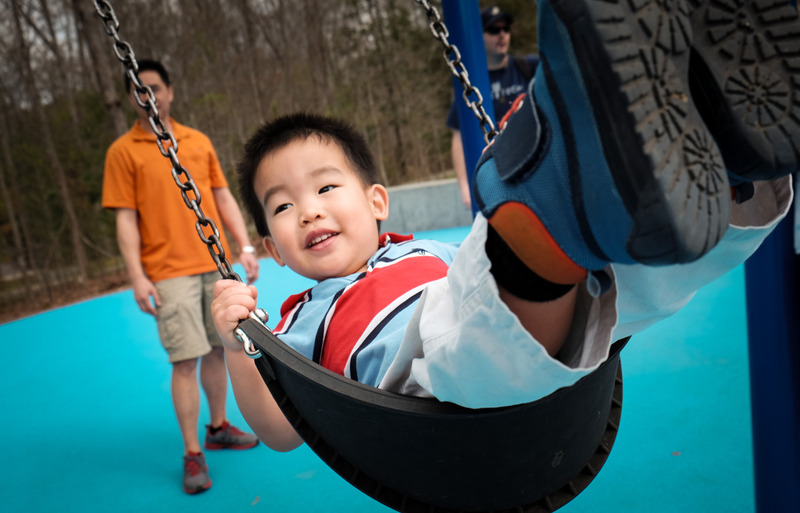 And of course the kids were hav­ing a blast on this ear­ly spring day in Cary. It’s a real­ly nice park, with unique fea­tures for kids, and these guys sug­gest­ed me check­ing out Bond Park next. My nifty son Oliv­er, real­ly enjoyed the spin­ny things at the big­ger kids area and using the tons of smooth rollerblad­ing paths.